Thank you very much for your interest in the website of FC Gelsenkirchen-Schalke 04 e.V. Protecting your privacy is very important to us. Below, please find detailed information on how we handle your data. This data privacy statement refers to the website of FC Gelsenkirchen-Schalke 04 e.V. 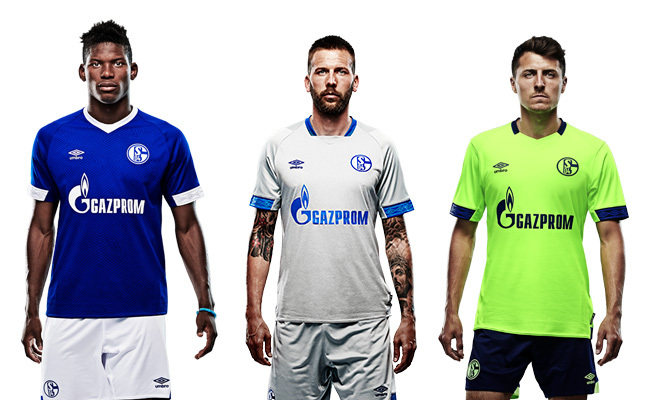 with the internet address of http://store.schalke04.de FC Gelsenkirchen-Schalke 04 e.V.’s web shop. The data protection officer can be contacted by e-mail at datenschutz@schalke04.de. We process data on different legal bases, depending on the type of processing. Should you use the web shop and not have started an order process, we process the data exclusively based on our legitimate interests pursuant to art. 6 paragraph 1f GDPR or based on your voluntary consent to set the cookie bar to a higher level than “required” (see cookie bar below). The storage periods are listed in the relevant paragraphs of this data privacy statement. Please scroll to the relevant paragraphs. Should you be of the opinion that the processing of personal data by us is illegal, you have the right to lodge a complaint. The relevant supervisory body for North Rhine-Westphalia is the Data Protection and Freedom of Information Commissioner of the State of North-Rhine-Westphalia ( https://www.ldi.nrw.de/metanavi_Kontakt/index.php). You have the right to receive information about your personal data that we store at any time. You have the right to have your personal data corrected, blocked or deleted (unless we are required to store the data due to other legal regulations or obligations). You have the right to demand adjustments and/or corrections of your personal data at any time. You can revoke your consent for any future storage, processing or use of your data by notifying us at any time. Below, we list the specific types of processing and provide information about privacy settings. during the registration process for a Schalke 04 account. The data you provide during registration for the newsletter is used to check the e-mail address, you then receive an e-mail containing a declaration of consent and a link – this double opt-in process is intended to ensure that we will send you only information that you want to receive. Should you not indicate your consent, we will delete the submitted e-mail address after 30 days. In order to simplify order processes, the data provided for the registration of a Schalke 04 account will be used to manage your newsletter subscription and to authenticate services you have ordered. The data will not be used for any other purposes without your consent. You can optionally consent to receiving marketing material in your account. The data for the newsletter and/or the Schalke 04 account will be stored by us until you close your account or invoke your right to deletion of your personal data and request your data to be deleted. In order to prevent threats, access data for the web server is stored in the server log for 7 days and then deleted automatically. Time of access, IP address and the accessed page (URL) are stored. This data is stored for the purpose of identifying hacker attacks. This setting enables you to display personalised advertisements on this website and those of partners. This means that personalised advertisements may be displayed when you visit other websites or other services on the internet, based on your use of store.schalke04.de. You will receive advertising that is better suited to your requirements, not more advertising. By permitting this step, you help us to analyse and improve the S04 online experience via anonymised data. This setting enables basic functions of the S04 store and is required for the website to be displayed as intended on your device. Cookies are small text files that are stored by your browser on your device. These statistics are gathered by Google in a completely anonymous fashion since the data is stored by Google Analytics in an anonymised format. You can check the storage periods of the other cookies in your browser. will usually be transmitted to a Google server in the US and stored there. The IP address transmitted by your browser as part of the Google Analytics activities will not be associated with any other data held by Google. In addition, we have extended Google Analytics by the “anonymizeIP” code. This ensures that your IP address is masked, and all data is collected anonymously. Only in exceptional cases will the full IP address be transmitted to a Google server in the US and truncated there. You can also stop the transfer of cookie-generated data relating to your usage of this website (including your IP address) to Google by downloading and installing the browser plug-in under the following link: http://tools.google.com/dlpage/gaoptout?hl=de. As an alternative to the browser add-on, in particular for browsers on mobile devices, you can also deactivate data collection by Google Analytics by clicking on this link. This triggers an opt-out cookie that prevents your data being collected during future visits to this website. The opt-out cookie is only valid for this browser and only for our website and is stored on your device. Should you delete the cookies in this browser, you need to set the opt-out cookie again. [Please note: information on integrating the opt-out cookie can be found at: http://tools.google.com/dlpage/gaoptout?hl=de]. We continue to use Google Analytics to analyse data from double-click cookies and AdWords for statistical purposes. If you do not want this to take place, you can activate the function in the ads settings manager ( http://www.google.com/settings/ads/onweb/?hl=en). More information on data privacy and Google Analytics can be found, for example, on the Google Analytics help pages ( https://support.google.com/analytics/answer/6004245?hl=en). This plug-in is only active if you have selected at least the privacy settings ”BESSERES EINKAUFSERLEBNIS” (better shopping experience) or ”INHALTE UNSERER PARTNER” (content from our partners). Based on our legitimate interests (i.e. Interest in analysis, optimisation and economic operation of our online shop pursuant to art. 6 paragraph 1f GDPR) we use the marketing and remarketing services (in short “Google Marketing Services”;) of Google LLC, 1600 Amphitheatre Parkway, Mountain View, CA 94043, USA (“Google”). Google is certified under the Privacy Shield Framework and thus guarantees compliance with European data protection legislation ( https://www.privacyshield.gov/participant?id=a2zt000000001L5AAI&status=Active). Google Marketing Services allow us to show ads for and on our website in a more targeted manner, showing users only those ads that are potentially of interest to them. If a user is shown ads for products in which they showed an interest on other websites, this is known as remarketing. To this end, Google executes a code as soon as a user views our website or other websites for which Google Marketing Services have been activated, thereby incorporating so-called (re)marketing tags into the website (invisible graphics or code, also referred to as web beacons). This allows a customised cookie, i.e. a small file, to be stored on the user’s device (comparable technologies may also be used instead of cookies). The cookies can be placed by various domains including google.com, doubleclick.net, invitemedia.com, admeld.com, googlesyndication.com or googleadservices.com. This file records which websites the user visits, what content they express an interest in and which offers they click on, together with technical information relating to the browser and operating system, the referrer URL, the visit time and other details regarding use of the online service. The user’s IP address is likewise logged; please note that with regard to Google Analytics, IP addresses within member states of the European Union or in other signatory states to the Agreement on the European Economic Area are truncated and are only transmitted to a Google server in the USA in exceptional cases and then truncated. The user’s IP address is not combined with other user data within other Google services. Google may combine the aforementioned information with such information from other sources. When the user subsequently visits other websites, they can be shown ads which are tailored to their interests. The user’s details are processed within the Google Marketing Services using pseudonyms. In other words, Google does not record or process the user’s name or email address, and instead processes the relevant data within pseudonym-based user profiles using cookies. This means the ads are not managed for and shown to a specifically identifiable person from Google’s perspective, but for and to the cookie owner irrespective of who this cookie owner is. This does not apply if the user has explicitly allowed Google to process their data without this pseudonymisation. The information collected by the Google Marketing Services regarding a user is sent to Google and stored on Google servers in the USA. One of the Google Marketing Services we use is an online advertising program known as “Google AdWords”. With Google AdWords, each AdWords customer is assigned a different conversion cookie. Cookies can therefore not be traced via the websites of AdWords customers. The information collected with the aid of the cookies is used to generate conversion statistics for AdWords customers who have opted for conversion tracking. The AdWords customers learn the total number of users who clicked on their ad and who were forwarded to a website featuring a conversion tracking tag. They do not, however, receive any information with which a user can be personally identified. In addition, we can use “Google Tag Manager” to incorporate Google’s analysis and marketing services into our website and manage them. If you wish to revoke your consent to interest-based advertising by the Google Marketing Services, you can do so using the settings and opt-out options offered by Google: http://www.google.com/ads/preferences. The operating company of Facebook is Facebook, Inc., 1 Hacker Way, Menlo Park, CA 94025, United States. If a person lives outside of the United States or Canada, the responsible body for processing personal data, the controller, is Facebook Ireland Ltd., 4 Grand Canal Square, Grand Canal Harbour, Dublin 2, Ireland. With each call-up to one of the individual pages of this internet website, which is operated by the controller and into which a Facebook component (Facebook plug-ins) was integrated, the web browser on the information technology system of the data subject is automatically prompted to download a display of the corresponding Facebook component from Facebook through the Facebook component. An overview of all the Facebook plug-ins may be accessed under https://developers.facebook.com/docs/plugins/?locale=de_DE. During the course of this technical procedure, Facebook is made aware of what specific sub-site of our website was visited by the data subject. If the data subject is logged in at the same time on Facebook, Facebook detects with every call-up to our website by the data subject – and for the entire duration of their stay on our internet site – which specific sub-site of our internet page was visited by the data subject. This information is collected through the Facebook component and associated with the respective Facebook account of the data subject. If the data subject clicks on one of the Facebook buttons integrated into our website, e.g. the "Like" button, or if the data subject submits a comment, then Facebook matches this information with the personal Facebook user account of the data subject and stores the personal data. The data protection guideline published by Facebook, which is available at https://facebook.com/about/privacy/, provides information about the collection, processing and use of personal data by Facebook.In addition, it is explained there what setting options Facebook offers to protect the privacy of the data subject. In addition, different applications are available to allow the elimination of data transmission to Facebook. These applications may be used by the data subject to eliminate a data transmission to Facebook. This plug-in is only active if you have selected the privacy setting “INHALTE UNSERER PARTNER” (content from our partners). We employ the services of Salesforce (Salesforce.com Germany GmbH, Erika-Mann-Str. 63, 80636 Munich, Germany) and incorporate usage data and information from abandoned shopping carts in order to be able to display ads that are tailored to the individual user. You can find more information at https://www.salesforce.com/company/privacy/. This plugin is only active if you have selected the privacy setting “INHALTE UNSERER PARTNER” (content from our partners). We use the services of Criteo (Criteo CIL – 32 Rue Blanche – 75009 Paris – France) for the purpose of displaying targeted ads. Criteo collects information about tracking cookies that have been placed in your browser or ad IDs in environments that do not support cookies, for example mobile applications. With the aid of these technologies Criteo places anonymous browser cookies on the devices of visitors of its partner websites and associated mobile applications (tagging). Users tagged by Criteo are assigned an anonymous ID. Criteo does not capture personal data such as name or address at any time. Criteo merely analyses the products the user looked at and/or the websites of the partner that the user visited and that Criteo develops advertising media for. The advertising media of our partners are displayed on many websites that are also referred to as publishers. These publishers may also place cookies in your browser. These cookies enable the publishers to identify that Criteo sends personalised ads to your browser. Their use is covered by the specific data protection policies of the publishers that can be accessed directly from their websites. This plug-in is only active if you have selected the privacy setting ”INHALTE UNSERER PARTNER” (content from our partners). <p>Furthermore, Microsoft can possibly track your usage behavior across several of your electronic devices using so-called Cross-Device Tracking and is thereby able to display personalized advertising on or in Microsoft web pages and apps. You can deactivate this behavior under http://choice.microsoft.com/de-de/opt-out > http://choice.microsoft.com/de-de/opt-out. Further information about the analysis services of Bing can be found on the Bing Ads website https://help.bingads.microsoft.com/#apex/3/de/53056/2>https://help.bingads.microsoft.com/#apex/3/de/53056/2. Further information about data protection at Microsoft and Bing can be found in Microsoft’s data protection provisions https://privacy.microsoft.com/privacystatement>https://privacy.microsoft.com/privacystatement.